The first annual Baja International Film Festival, to be held November 14-17 in Los Cabos, Mexico, will showcase 80 films from around the world, including 5 international feature films in competition, 5 Mexican feature films in competition, 5 international documentaries in competition, 5 Mexican documentaries in competition, 30 international shorts, 13 Mexican shorts, 4 environmental films, as well as Special Presentation screenings of 7 international feature films, and 6 Mexican feature films. The following awards and cash prizes will be given for best film in each screening category, honoring the work of this year’s outstanding filmmakers at the 2012 Baja International Film Festival. Best International Feature / $10,000 U.S.
Best Mexican Feature / $10,000 U.S.
Best International Documentary / $5,000 U.S.
Best Mexican Documentary / $5,000 U.S.
Best International Short Film / $2,500 U.S.
Best Mexican Short Film / $2,500 U.S. The majority of screenings, as well as the opening night celebration, panels, industry forums, hospitality lounge, and closing night awards gala, including Tributes to acclaimed filmmakers and actors, will take place at the new Los Cabos Convention Center, a 72,000 square-foot space equipped with solar panels and the latest environmental technology. 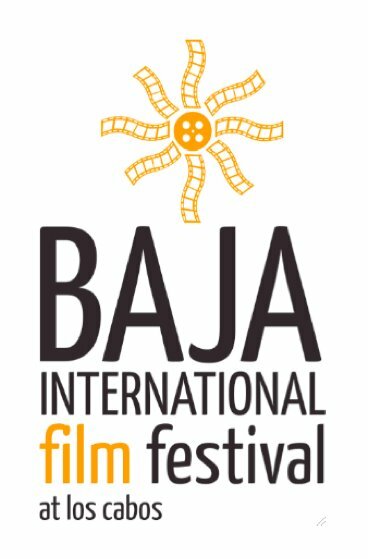 The Baja International Film Festival is pleased to announce the inaugural Mexico-USA Film Forum that will take place on Friday, November 16 as part of the First Edition of the Baja International Film Festival. Renowned Film-Industry members from both countries will be present to create a space for dialogue and exchange of ideas to strengthen the relationship between the two industries. The Film Forum will focus mainly on topics related to Investment and Funding; as well as on the challenges, needs, and opportunities for Mexican Cinema in the United States of America. These topics will be further developed with two discussion tables in which experts in different fields will exchange points of view and related experiences, presenting elements which we intend to integrate within the bilateral character and identity of the Festival. The forum will offer an opportunity for dialogue, reflection, and analysis of both the U.S. and Mexican Film Industries. Industries that are very close to each other and both speak for the cultural identity of their countries. Also on November 16, prior to the screening of the film “Miradas Múltiples” (La Máquina Loca) we will announce the creation of a Film Fund to support Mexican Projects and Filmmakers. More detailed information will be announced at a later date. Throughout the festival weekend, pass holders will enjoy film screenings, red carpet ceremonies and parties, panel discussions, and live music featuring Grammy-winning musicians from LA’s famed Hotel Café. The awards ceremony recognizing the outstanding work of leaders in the film industry will take place on Saturday, November 17 th. There will be select free screenings for the public at the Cultural Pavilion Amphitheater in Cabo San Lucas and at the Plaza Mijares in San Jose Del Cabo. Included in the free screening program will be the highly anticipated new animated film from DreamWorks Animation, Rise of the Guardians, directed by Peter Ramsay. “We are proud to showcase a diverse and compelling film program, ranging from special screenings of industry films to independent passion projects, all carefully selected by our programming committees to showcase the best in Mexican, U.S., and international film,” said Festival Director Sean Cross. “It was important for us to find a balance between our Mexican and international programming, to truly represent Mexico’s new wave of innovative filmmakers, while also highlighting the groundbreaking films being produced in the U.S. and across the world. We have an incredible lineup and are excited to share this year’s program with our attendees for the first annual Baja International Film Festival,” said Eva Sangiorgi, Programmer of the Mexican narrative features selection. The inaugural Baja International Film Festival is co-founded by Festival President, Eduardo Sanchez Navarro, longtime supporter of the arts in Los Cabos, BIFF festival directors Scott Cross and Sean Cross, co-founders of the Colorado Film Institute and Vail Film Festival, and business leaders and arts supports Juan Gallardo, Alfonso Pasquel, Eduardo Sanchez Navarro Torres, and Pablo Sanchez Navarro. Scott and Sean Cross also serve as the Festival’s artistic directors alongside Jorge Sanchez Sosa, former director of the Guadalajara Film Festival. Nancy Collet, former Director of Programming at the American Film Institute, serves as Festival Senior International Films Programmer. The Baja International Film Festival will include four days of special presentations, as well as competition screenings of feature films, documentaries, and short films, as well as nightly galas, panel discussions, filmmaker receptions, and award ceremonies. The festival is run by a bi-national team of experienced film and business managers who share a passion for bringing Mexican and U.S. cultures together through film. The Baja International Film Festival is supported by the México Tourism Board and endorsed by the State of Baja California Sur and the Los Cabos Tourism Bureau as the Official Festival of Cabo, México. For more information and to order tickets please visit: www.bajainternationalfilmfestival.com or email info@bajafilmfest.com.